I follow nothingisordinary_ on Instagram. They are always posting beautiful images and encouraging people to use certain tags to be featured. When they recently asked for images within the theme “Pop of Orange” I had to tag my orange slices! 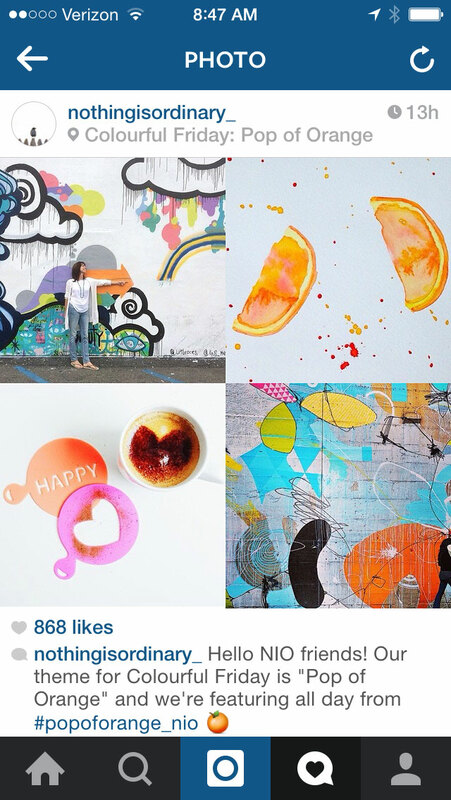 If you don’t use Instagram it is amazing for creative people – for inspiration and sharing! I highly recommend it. Just scrolling through the feed inspires me! I post inspiration photos, art in progress, and final work almost daily. Please follow me. I’d love to have you! BTW I just submited an image for today’s “Pop of Purple” I’ll keep you posted. Categories: News | Tags: Art, artists, chelsealee, collage, illustration, Instagram, nothingisordinary, painting, patriciaarts, photography, photos, rascalsnaps | Permalink. I am telling you, your orange slices and orange quarters are delightful! No surprise here you were featured… 🙂 Congrats! I love your Instagram! Congrats!! looks like a cool site too. thx for the info.